What really happens when you switch to a casual clothes policy? 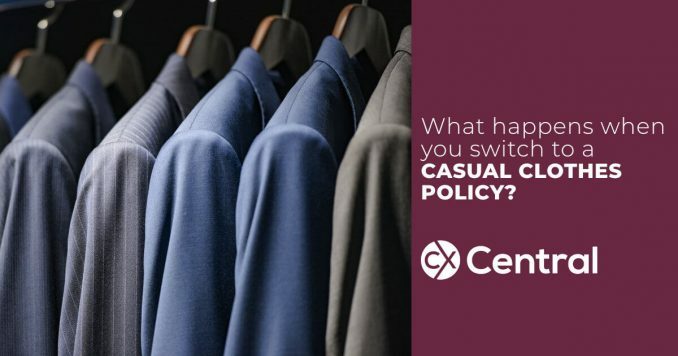 HomeEmployee EngagementWhat really happens when you switch to a casual clothes policy? Not long after I started my current gig I pitched to my fellow business leaders that we adopt a casual clothing policy in our office. This was no small request because we work for a quite conservative company in a quite conservative industry. Fortunately, my business colleagues are a most excellent bunch and are open to new ideas and supportive of new methods. So they agreed to give it a try. And thus began a 6-month trial policy of casual clothes, shorts and all, whatever you wanted as long as it was neat. The next day almost everyone came in wearing different apparel to the business attire they’d worn every day previously. In fact, productivity has increased and customers are getting better service. But that has a lot more to do with the quality standards we’re introducing, goals we’re setting as a team and processes we’re improving. I’m pretty sure it has nothing to do with what we’re wearing. So why move to a casual clothes policy? So why did I pitch it? It’s about choice and it’s about customers. Firstly, my staff are adults who can wear whatever they want. And we haven’t had to send one person home yet because they were wearing something grossly inappropriate. That’s because we figured out how to hire people with brains who know the difference between the club and the office. Secondly, customer service is a creative pursuit. I get that in some professions you need to wear certain clothing. 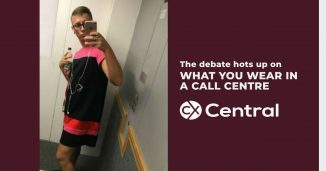 But the uniform for customer service should be whatever you need to feel comfortable. Comfortable to come up with creative solutions to tricky problems, comfortable to maintain high energy levels during all interactions and comfortable to excel in the service of others. And it’s cool. It’s cool to see people’s expression shine through in their personal branding. Some people still wear ties and jackets, and they look neat as. Some wear funky shoes and hoodies and look incredibly at ease. So what was the outcome of the trial? Culture and performance are the aggregates of a squillion things you do in the office. What we wear is just a drop in that bucket. So it’s impossible for me to specifically quantify the difference casual wear has made. There’s too much other stuff happening to correlate cleanly. But I do know one thing and that is that if we reversed our decision, people would be disengaged – because we’re taking away the choice and trust we gave them. The 6-month trial has come to an end now and we’ll be making this change permanent as part of our policy. Will someone eventually come in wearing ripped bike shorts and an 80’s midriff hyper-colour t-shirt? But if that’s the biggest problem I have to deal with that day, then it will be a great day. So now we can all get on with our job – servicing customers. And my hoody feels so damn snug today I feel excited about sitting at my desk and solving lots of their problems. 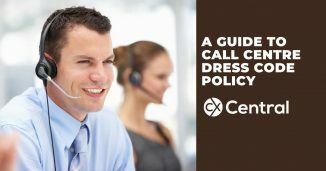 Get some tips on how to implement a dress code policy in your call centre to avoid any awkward conversations or disciplinary actions.